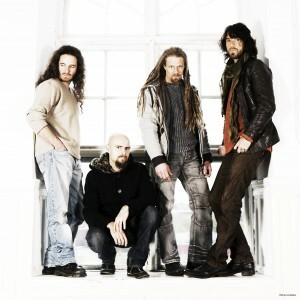 Pain of Salvation‘s seventh studio album Road Salt One features the band experimenting with a more low-key production style which may come to a shock for many fans. Regardless, Road Salt One has taken the band to a completely new direction, while continuing to supply their exclusive brand of progressive metal. This raw, un-mastered release has several tunes featuring some deep, bluesy fuzz and and even folkish elements, woven into a hyperlinked narrative story saturated in socio-economic themes. For the limited edition owners, the first track “What She Means To Me” offers a brief prologue before the band slams into the groove of “No Way” with the bluesy guitar fuzz and passionate vocal cry placed into the forefront. The blues aspect continues into the melodramatic “She Likes to Hide”. Highlights include the opening regular edition track “No Way” (with an extended jam in the limited edition) to introduce the unpolished and raw sound. The middle section of the album tends to be where the best, most traditional Pain of Salvation material lies. “Sleeping Under the Stars” features a very dramatic musical style that offers a semi-comical relief to the tense musical and lyrical themes. The combination of “Darkness of Mine”, “Linoleum”, and the very catchy “Curiosity” are smartly composed and are easily Pain of Salvation hits. Fans may be easily disappointed at first with the production style so raw, un-mastered and dirty. Yet, the band was a victim of the global recession with worldwide label SPV entering bankruptcy in summer 2009. SPV was the holder for the band’s label, InsideOut Music and had to nix financial support for the band’s Progressive Nation 2009 tour. Road Salt was also put on hold briefly for financial difficulties. The band’s previous album Scarsick featured lyrical themes and motifs such as excessive commercialization and the ugliness of material worth. Dialing back the production and mastering is a brilliant move by the band, as it still retains their eccentric brand of progressive metal. Several of the songs such as “Sleeping Under the Stars” and “Curiosity” feature a musical theme that is often an anti-thesis to the lyrical meaning. This is a device that Pain of Salvation uses often, previous examples include “America” and “Disco Queen” off of Scarsick and “Dea Pecuniae” from BE. Influences of Led Zeppelin and Faith No More (like many of their albums) and more traditional 1970s Prog rock are firmly heard, yet the material is firmly rooted in Pain of Salvation style. Road Salt One is the first installment of a duology, with Road Salt Two set to be released sometime in October 2010. “Linoleum” was featured on a limited edition EP, three additional songs set for release on Road Salt Two, and a cover of the Scorpion‘s song “Yellow Raven”. The Limited Edition “Director’s Cut” includes two extended songs and a bonus song to go along with the album’s concept. There will certainly be continued discussion on where to place Road Salt One in Pain of Salvation‘s discography. Once again they have split their fan-base into two. The fans of Remedy Lane and The Perfect Element: Part 1 will find this release to be somewhat of a disappointment, while fans of their entire career will enjoy this release to no end. Pain of Salvation is no stranger to experimentation and basking in every sense of the word, progressive. The rawer production style is a bold choice that accurately matches the mood of the music. Road Salt One is a difficult album to consume and there is no doubt that Road Salt Two will be more of the same. Whether that is something to look forward to is subject to the ears of the beholder. I didn’t really like this album at first but it’s really grown on me. All of their albums are so different and this one just has more of a classic rock feel. I enjoyed your reviews btw. Sorry I haven’t responded earlier, I’ve been busy with Graduate school and my other website CinemaFunk. Thank you for the kind words. So many have been put off by this album, but in my opinion this album is not only a logical step for the band, but an excellent one at that. Sounds great on vinyl as well.